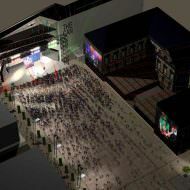 Following the rationalisation of the road network and creation of a city centre events space at Custom House Square by Laganside Corporation, an area of land at Albert Square became available for development. 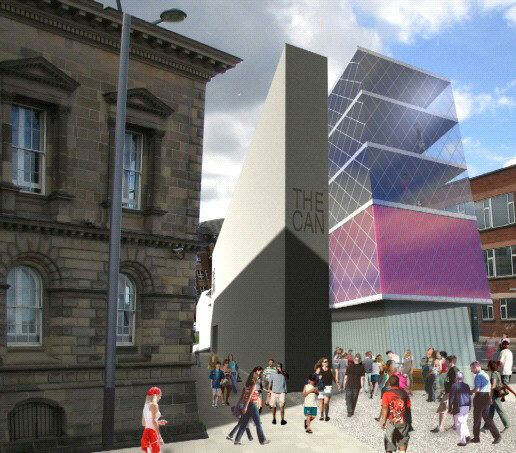 The land, at the northern boundary of Custom House Square, was offered by the Laganside Corporation for potential development. 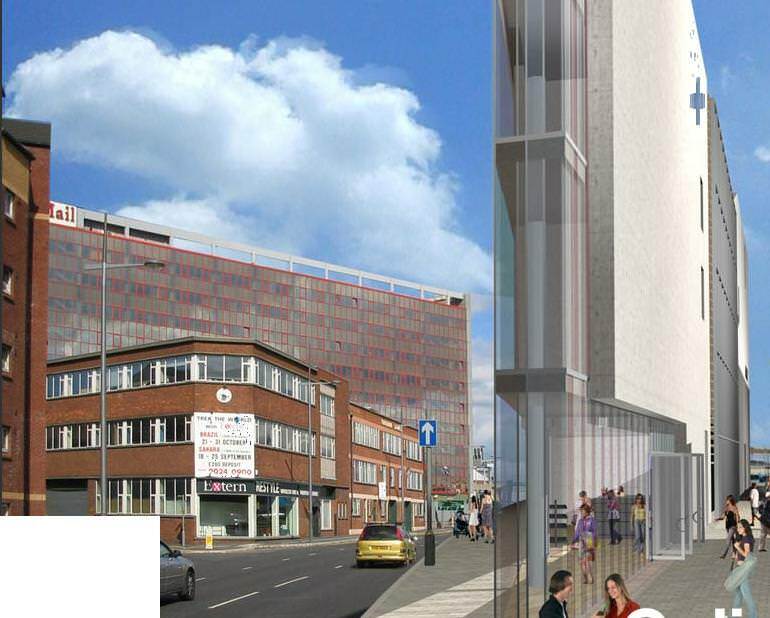 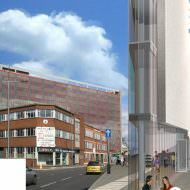 Blok Developments and Box Architects submitted a planning application in May 2005 proposing a mixed use development comprising ground floor retail, restaurant and public house, dance studios on the upper floor and an art gallery and conference / theatre space. 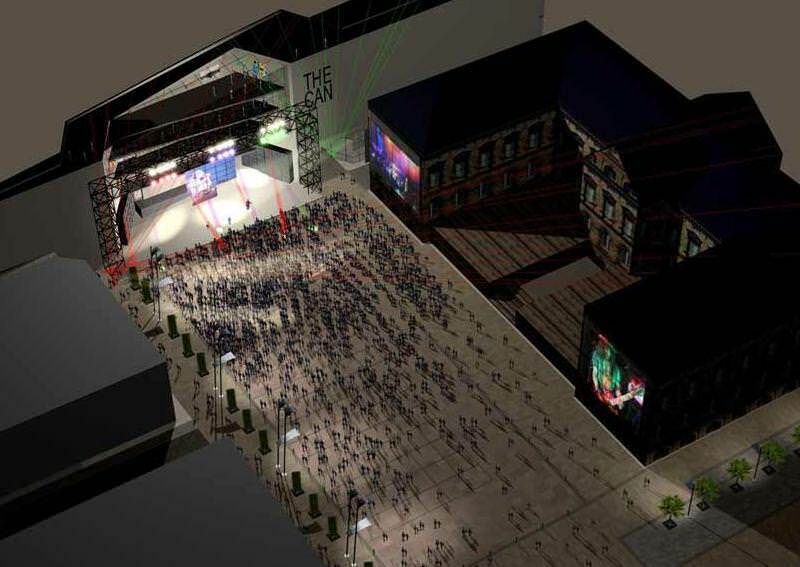 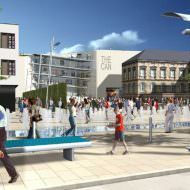 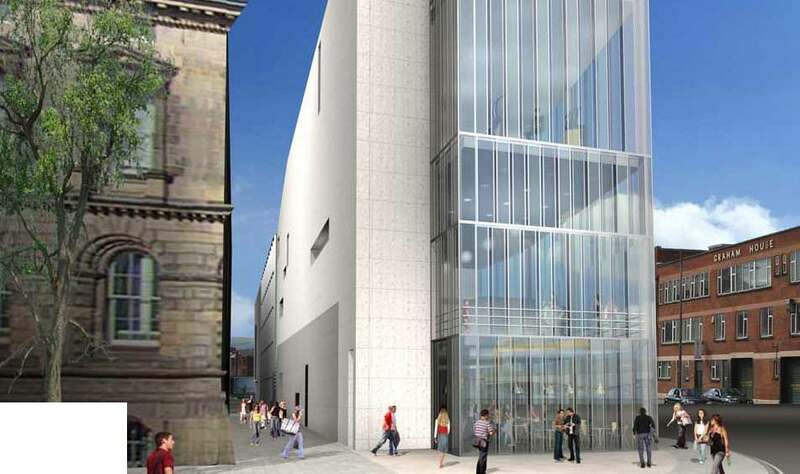 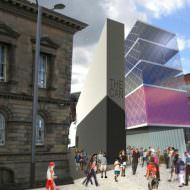 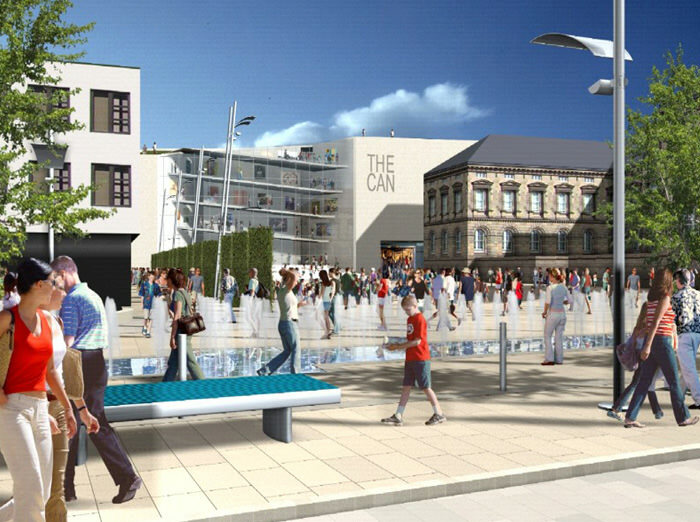 The proposed building incorporated an outdoor stage fronting onto Custom House Square. 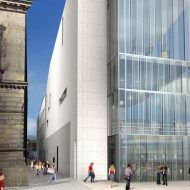 Following concerns during the planning process on the impact of the proposal on the listed Custom House building the planning application was withdrawn in March 2007.